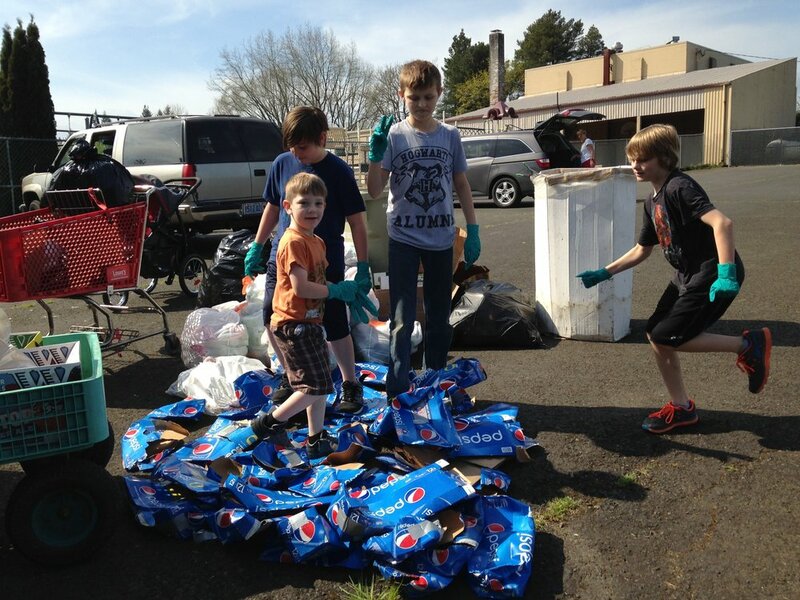 Over 1,000 Oregon non-profits now use BottleDrop Give to raise money and recycle bottles and cans: a new milestone! In 2018, more than $500,000 was raised by organizations from SOLVE to soccer teams to the Oregon Food Bank. Master Recyclers were some of the Oregonians who leveraged this convenient program to support programs in their communities. Colleen Johnston (Class 36) has helped the Rex Putnam High band in Milwaukie do the same for over five years. Just in the last year, they held four bottles drives that raised just over $3600, with 119 students and parents helping. BottleDrop Give is a fundraising tool for schools, communities of faith, and any 501 (c)(3) organization. BottleDrop blue bags are distributed to supporters to be filled with returnable containers at home, then returned to any BottleDrop Redemption Center or BottleDrop Express at their convenience. The value of each bag is then credited directly to the fundraising account. To learn more or apply for a fundraising account, visit BottleDrop Give. What is Included in the Expansion? Since the bottle bill expanded on January 1, 2018 people have wanted a list of what is and is not included. The list of products accepted is actually too large to list them all. It’s in a carton, foil pouch, drink box, or metal container that requires a tool to be opened. Newer PostTake Action in 2019! Older PostMaster Recyclers Tour Agilyx Inc.